Google has just launched a new series of social gadgets for your personalized iGoogle home page. The gadgets allow you to interact with both friends and strangers through a series of games and productivity tools. 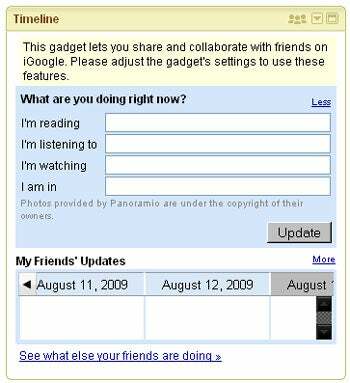 The initial iGoogle social gadgets include 19 different options. Here's a look at what they offer and how they work. 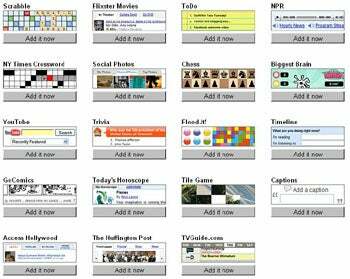 Your first step is to activate your iGoogle social gadgets here. If that link doesn't work for you, the functionality may not yet be available on your account -- Google says it's rolling out the gadgets to U.S. users over the next week, so it may be another few days until you can access them. If you do have access, though, you'll see a page with all the available gadgets listed. There, you can add any gadget onto your iGoogle home page by simply clicking on the "Add it now" button beneath its box. Once you've added a gadget, you have to give it permission to access your information before its social features will work. In our tests, this process was a bit arduous: You first have to click the small people icon at the top right of the gadget's window. For us, this didn't immediately bring up the options; we had to reload the page several times and keep trying it before it finally worked. 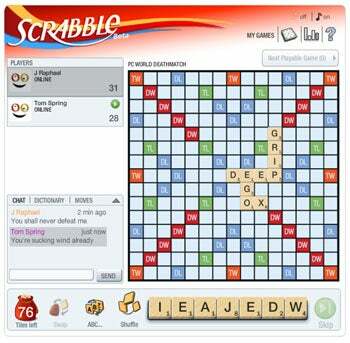 The first gadget we tested was the iGoogle Scrabble game. It worked fairly smoothly once loaded and enabled. Starting a game is simple: You just invite a friend to join you, then you both play right on your iGoogle screens. The game has a built-in chat function for convenient on-screen trash-talking, too. 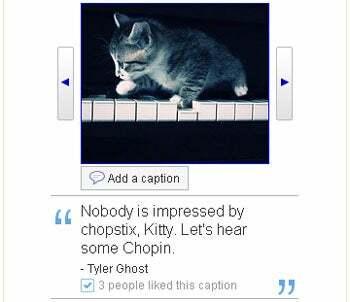 Another gadget worth checking out is iGoogle Captions. The tool lets you scroll through a series of funny photos and leave your own (hopefully) witty captions. You can also see what remarks other people have left -- and, in true social media form, vote on whether you liked what they had to say. 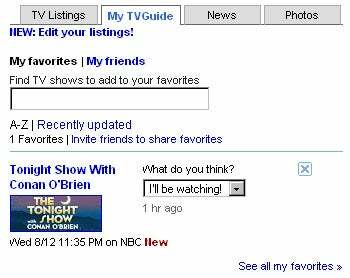 TV Guide offers an interactive programming grid in its iGoogle gadget. You can scroll through programs, mark your favorites, and share your viewing plans with friends. Other gadgets in the new iGoogle social set include a Flixster Movies system, an interactive viewing gizmo for the Huffington Post, and a sharable ToDo list. Google says more social gadgets will be on the way soon; in fact, the door's already been opened to developers to add social components into their creations and have them added to the list. You can see more about the iGoogle social gadgets in Google's official YouTube video.